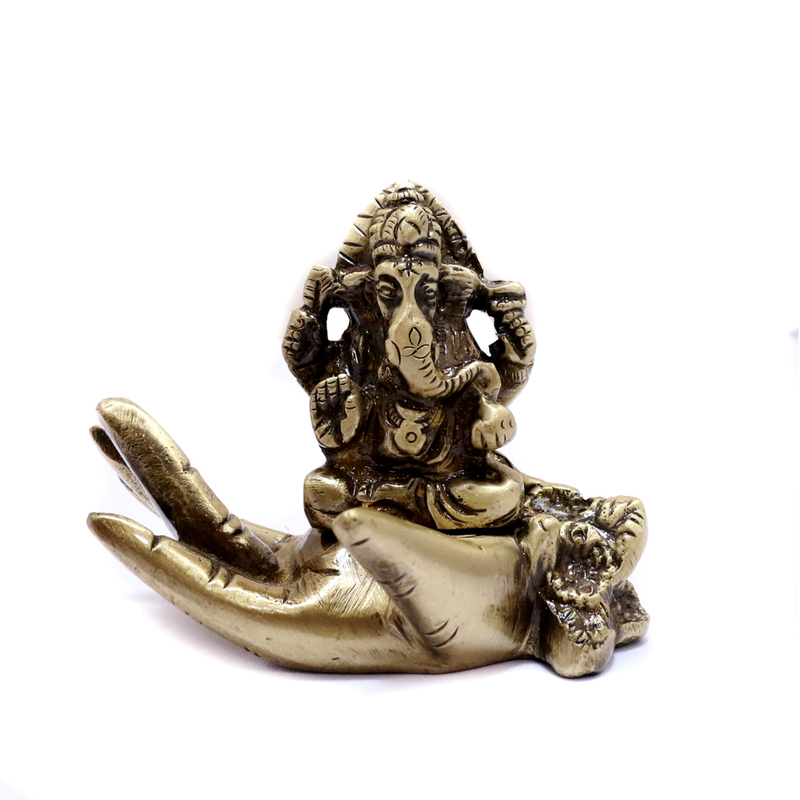 This unusual Ganesh idol has been made up of brass. 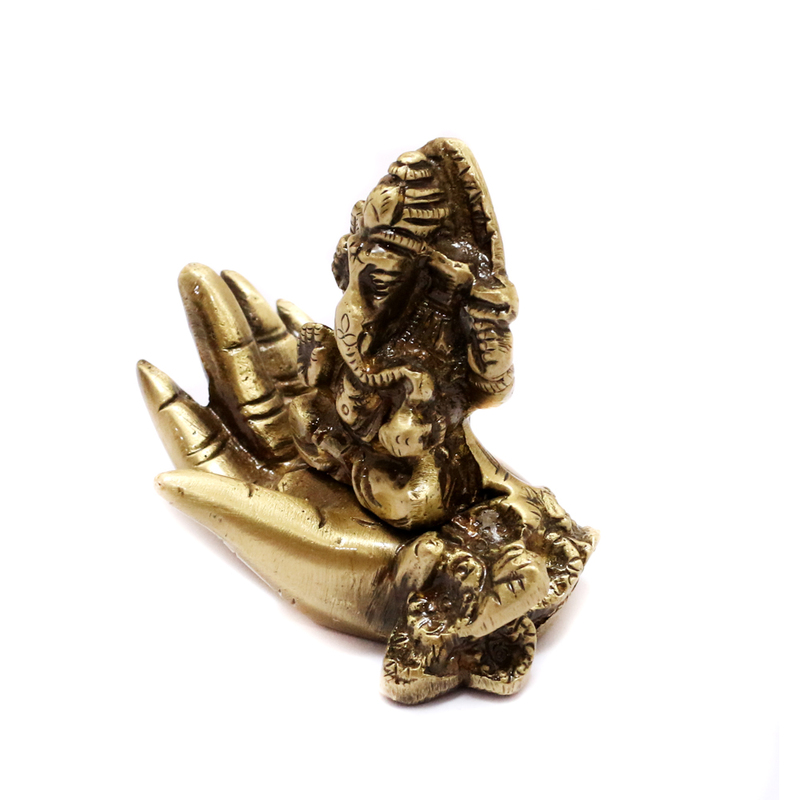 The showpiece reflects a hand upon which the idol of the Lord has been sculpted. Read More..The sculpted exterior has a polished look. 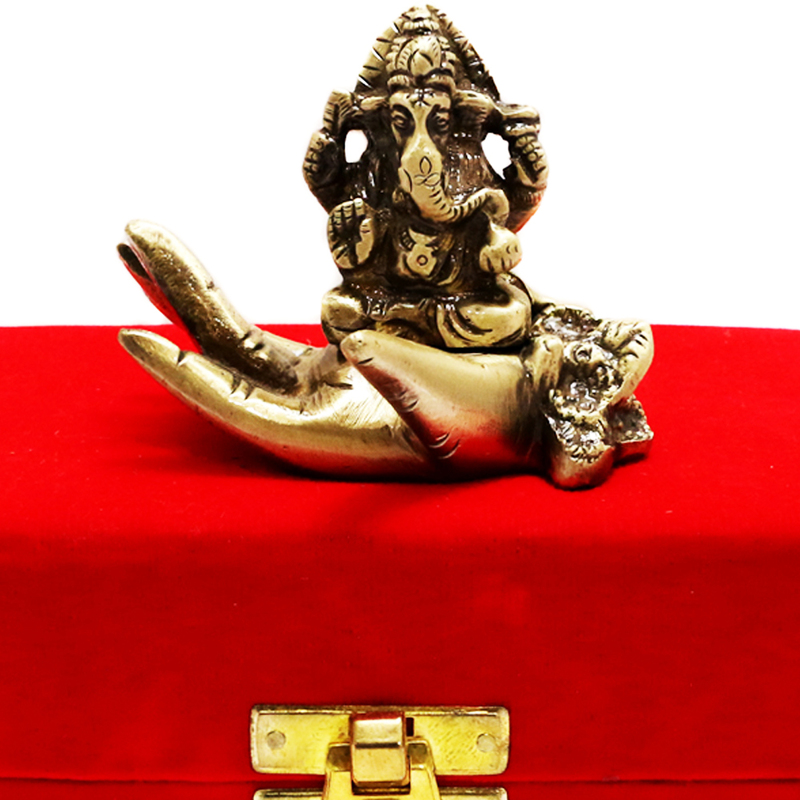 It also comes with a decorative red velvet box to make it a good present. Show Less..